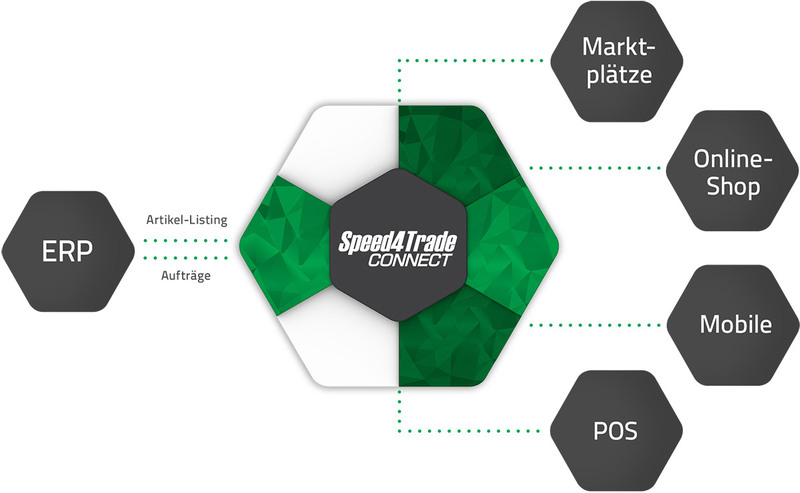 OXID eXchange | Speed4Trade CONNECT emMida eCommerce Suite 3.3.6 | Stable | EE, PE | 4.5.x - 4.7.x/5.0.x - yatego | Module, Themes, Language Packs direkt herunterladen! 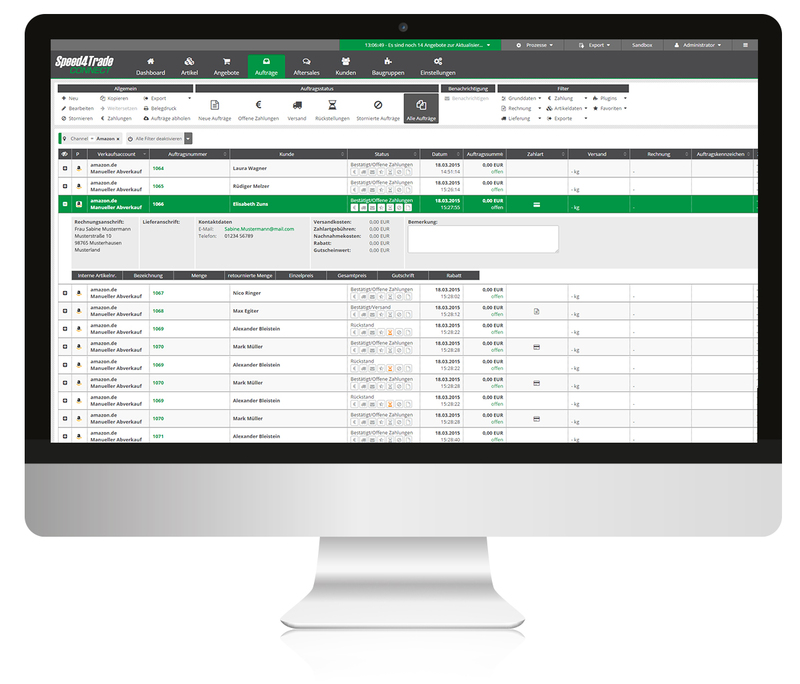 Integrated processes for online shops, eBay, Amazon & Co. 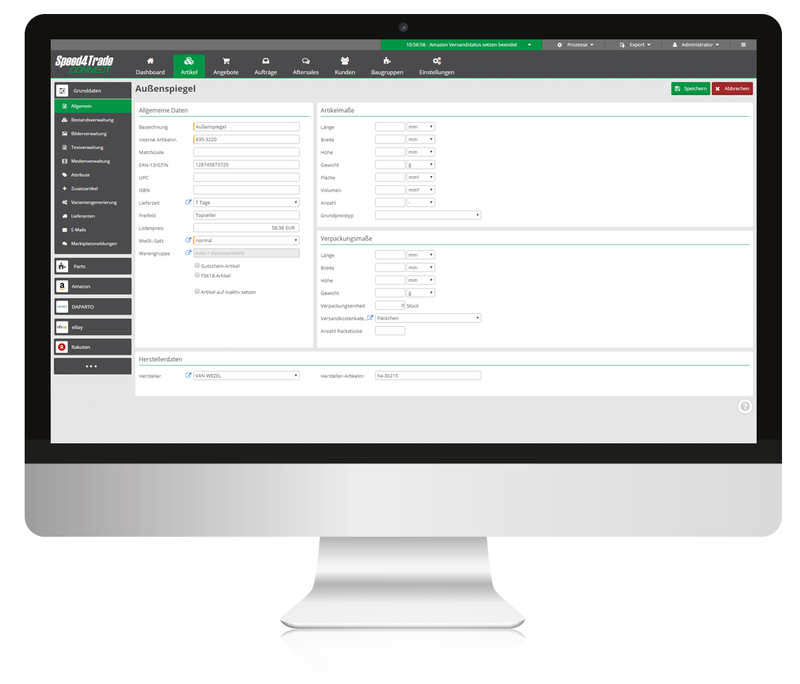 The software solution Speed4Trade CONNECT is the flexible eCommerce integration platform for automated sales order processing through online shops and online marketplaces such as Amazon, eBay, OTTO & Co. 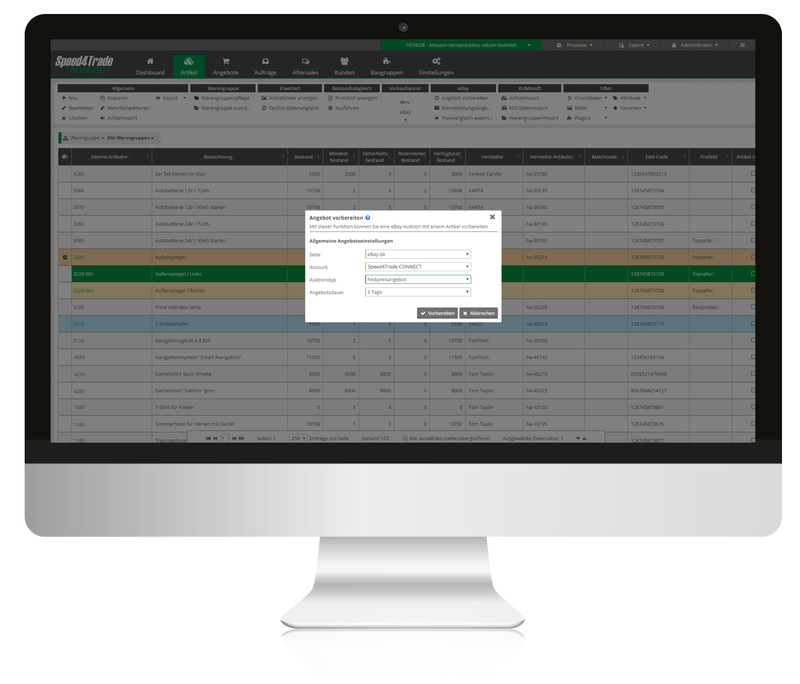 The middleware Speed4Trade CONNECT works ideally in conjunction with an existing ERP system. Medium-sized traders and top brand manufacturers profit from streamlined processes along the entire value chain - from product information management (PIM) to item listing, inventory management, order processing up to the aftersales. 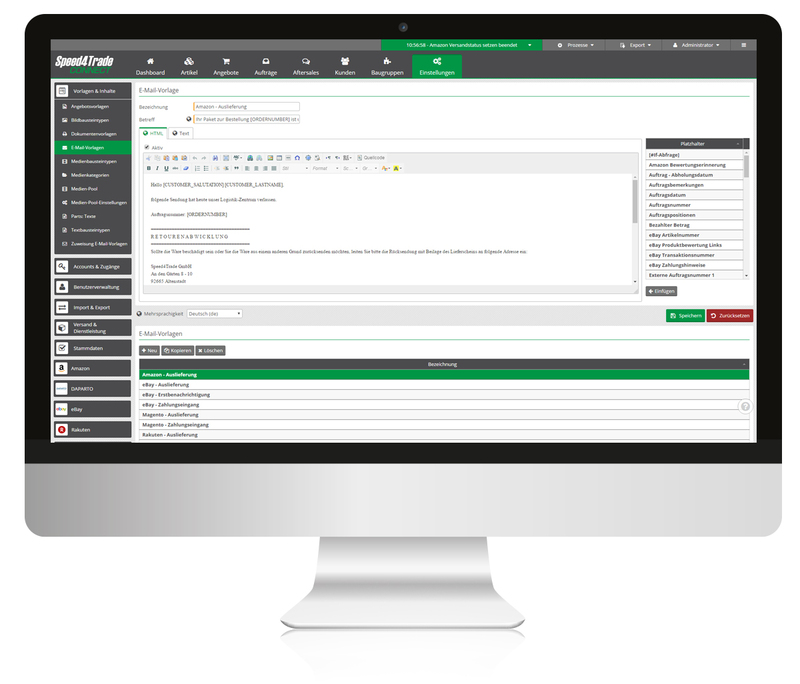 The result is a complete Omni-Channel system. Prices: Starting from 330.00€ monthly plus 3,500.00 € one-time setup costs - No transfer fees! Trading online successfully. Automated. Across all Channels. 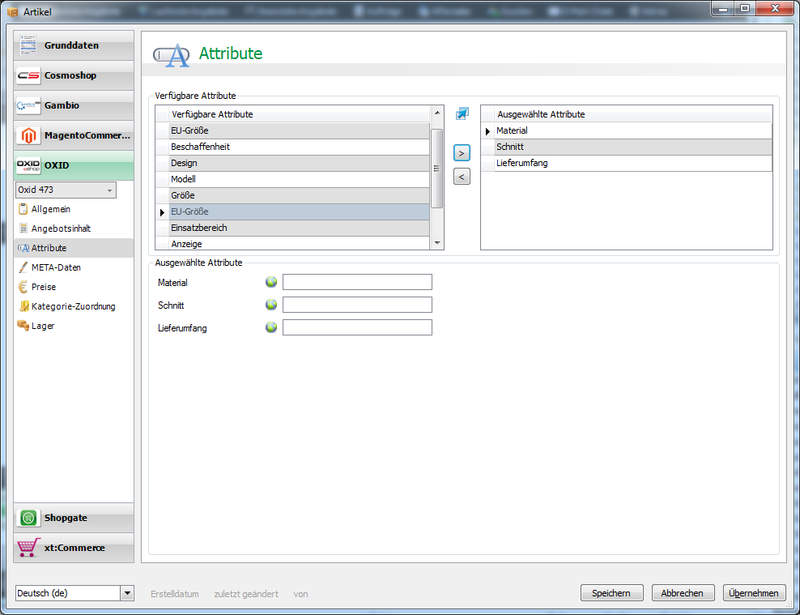 ERP integrated or Stand-Alone.